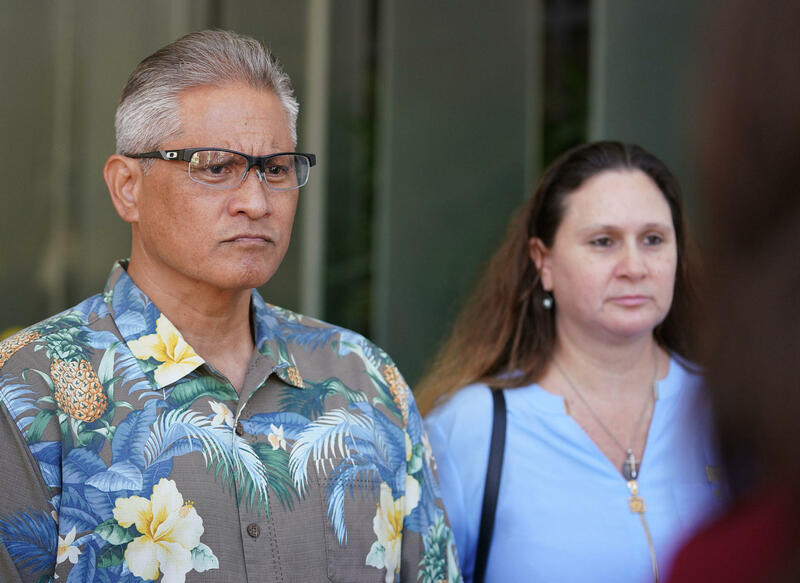 A U.S. judge on Wednesday approved the sale of a home belonging to a retired Honolulu police chief and his former prosecutor wife mired in a corruption investigation. A buyer is offering more than $1.3 million in cash for Louis and Katherine Kealoha's home in Hawaii Kai, an upscale Honolulu neighborhood. There were multiple offers, said Jonathan Lai, an attorney representing Hawaii Central Federal Credit Union, which filed a foreclosure lawsuit that said the Kealohas weren't paying their mortgage. The real estate listing said the four-bedroom home "captures island living" with custom travertine floors, renovated kitchen and heated pool. The Kealohas are central to a wide-ranging corruption investigation that has resulted in an indictment against them and current and former officers alleging they used police resources to frame Katherine's uncle for stealing their home mailbox. Prosecutors say the framing was part of a scheme to cover up financial fraud. A trial for the mailbox conspiracy has been postponed to May because of Katherine Kealoha's cancer treatment. Seabright said he will revisit whether the Kealohas must help pay for their taxpayer-funded defense team, now that they are no longer responsible for the home's mortgage. Seabright previously approved court-appointed attorneys for the couple because they said they couldn't afford to hire lawyers. Seabright found that the mortgage payments on the Hawaii Kai house ate up most of Louis Kealoha's pension. The Honolulu City Council today approved hiring a law firm to represent the city's prosecutor against an impeachment effort launched when he became a target in a federal corruption investigation. A trial for a former Honolulu prosecutor, her now-retired police chief husband and officers accused of framing her uncle to try to mask her financial schemes has been moved back so she can get cancer treatment.